Store yellowfin tuna loins in the coldest part of your refrigerator or freeze for long term storage. 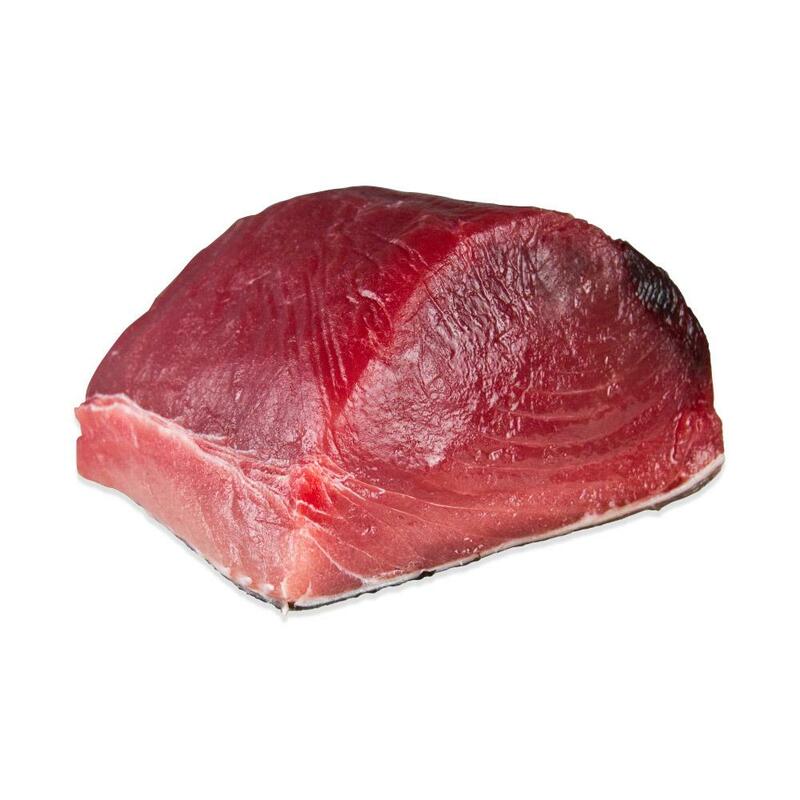 Yellowfin tuna (aka ahi tuna) is a delicious fish that can be enjoyed raw, seared, baked, broiled, or sautéed. Yellowfin tuna is considered to be a more sustainable alternative to bluefin tuna. Tuna loins are ready to slice into steaks or cut into sushi/sashimi portions. They are available in sushi grade or the more affordable grill grade. Either grade can be cooked, but sushi grade loins have been selected for premium texture, appearance, and flavor when served raw or seared. These loins include a portion of the darker loin meat called the "blood line." The blood line has a stronger, almost beefy flavor and is considered a delicacy in Japan, but can be cut out very easily if desired. For many applications, you'll probably want to remove the skin from the loin prior to cooking or serving it raw. Sushi grade yellowfin is best served in homemade sushi (with vinegared sushi rice and possibly nori seaweed), thinly sliced as sashimi, or briefly seared in a hot pan to provide a flavorful crust and contrasting cooked & raw textures (aka tataki-style). 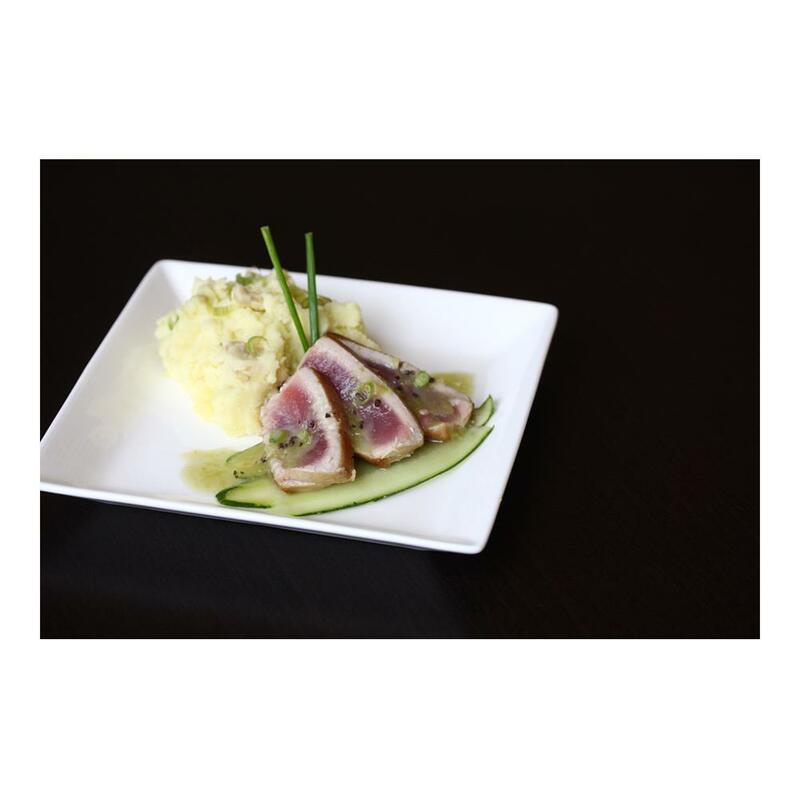 Tuna loin portions include a small portion of darker meat called the "blood line," which has a stronger, almost beef-like flavor. In Japan the blood line is considered a delicacy, but it's very easy to remove if you don't want it. Simply make two cuts into the loin that meet behind the blood line to remove the small wedge of meat. Recommended condiments for raw or seared ahi are rich tamari soy sauce (the traditional soy sauce of choice for sashimi), pickled ginger, black or white sesame seeds, fresh wasabi rhizomes, ponzu sauce or a citrus or wasabi vinaigrette (try making one with yuzu juice!). You can add additional flavor to seared ahi by rubbing it with spices before searing. Either grill grade or sushi grade tuna can be cooked as you would other raw tuna by baking, broiling, grilling, smoking or sautéing. Good flavor pairings for cooked tuna include citrus juice, chile peppers, cilantro, tarragon, shiitake mushrooms or lobster mushrooms, and tomatoes.